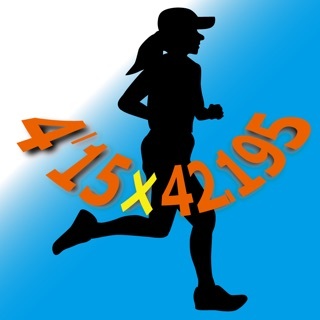 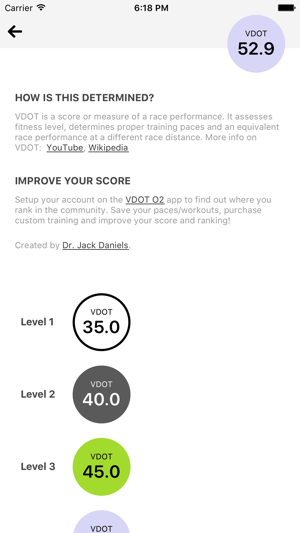 The official VDOT Running Pace Calculator, designed by Dr. Jack Daniels - named World's Best Running Coach by Runner's World Magazine - and The Run SMART Project. 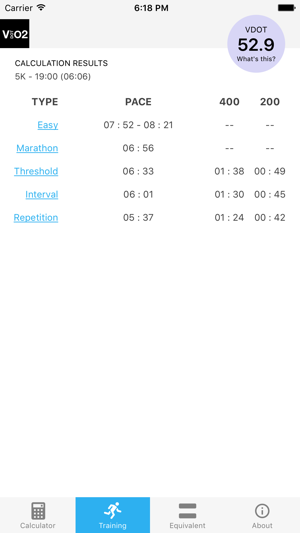 Input a race result or estimated performance and learn what score it reaches on the VDOT scale. 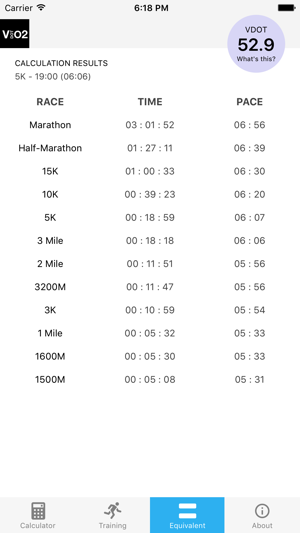 Enter all your past performances to see which race result scores the highest. 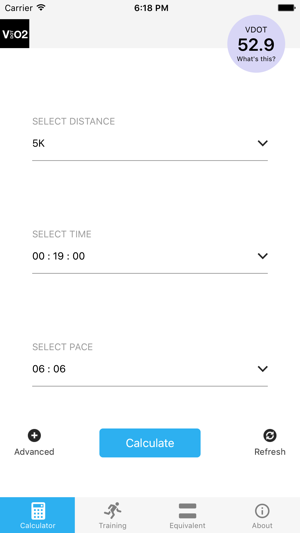 There are 10 levels starting at Beginner - White (Female: 31.4, Male: 35) all the way up to Professional - Gold (Female: 71, Male: 80).